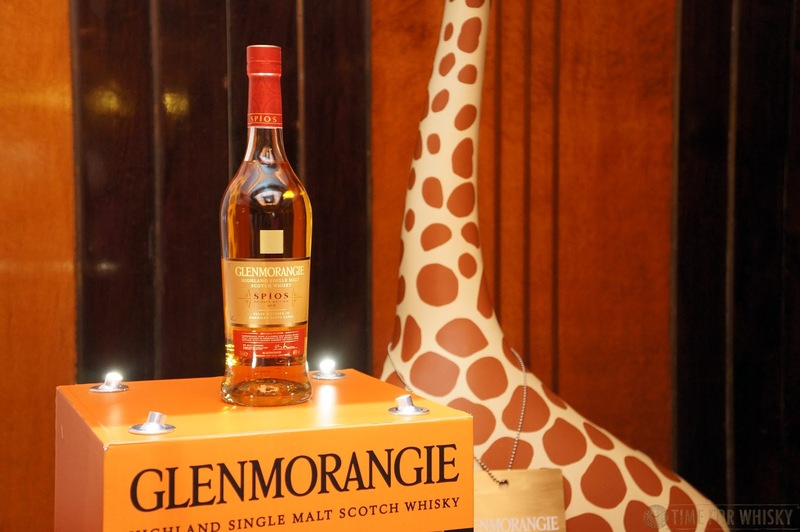 As a whisky fan, there are a few regular events each year you tend to look forward to. 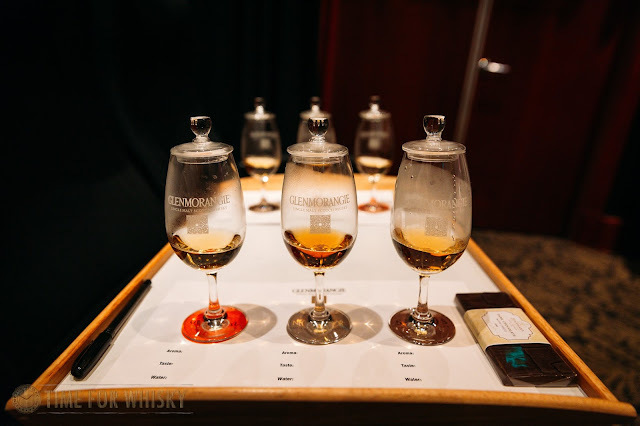 Moët Hennessy are particularly good at organising these - perhaps the most obvious (and fun) example being Ardbeg Day, but another (with slightly less shenanigans) being the annual launch of Glenmorangie's "Private Edition" releases. We've covered a few of these over the years - 2013's Ealanta, 2014's Companta, 2015's Tusail, 2016's Milsean and 2017's Bacalta, so it was a pleasure to learn that not only would we be celebrating the launch of 2018's "Spios", Hendy and I would be doing so together, remotely, via video conferencing! 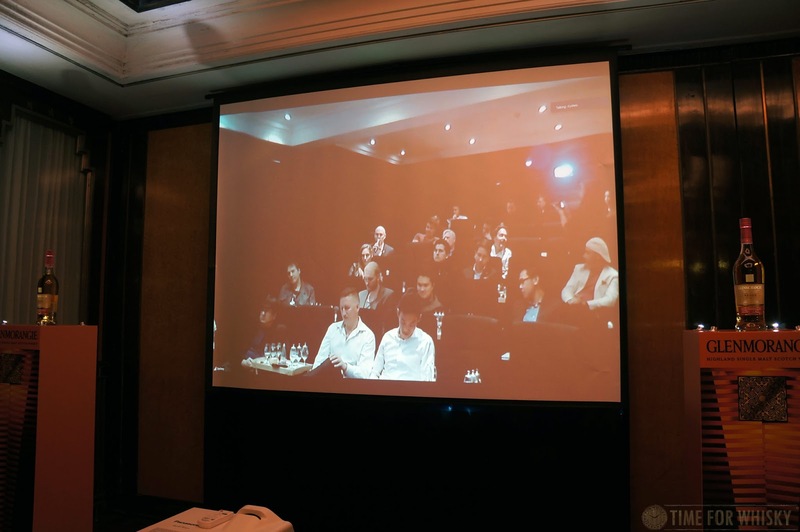 Moët Hennessy had cleverly arranged for the launch event to be held simultaneously in Hong Kong, Sydney, Seoul and Singapore, with each location video conferenced in with Dr Bill Lumsden and Brendan McCarron for a simultaneous live tasting. 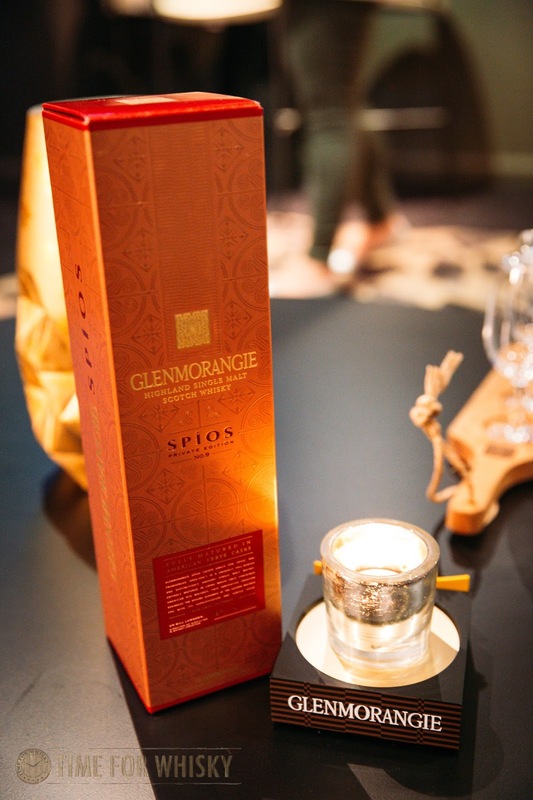 All four locations were treated to the same lineup of drams - Glenmorangie Original, Nectar D'Or, and finally the new Private Edition - Spios. 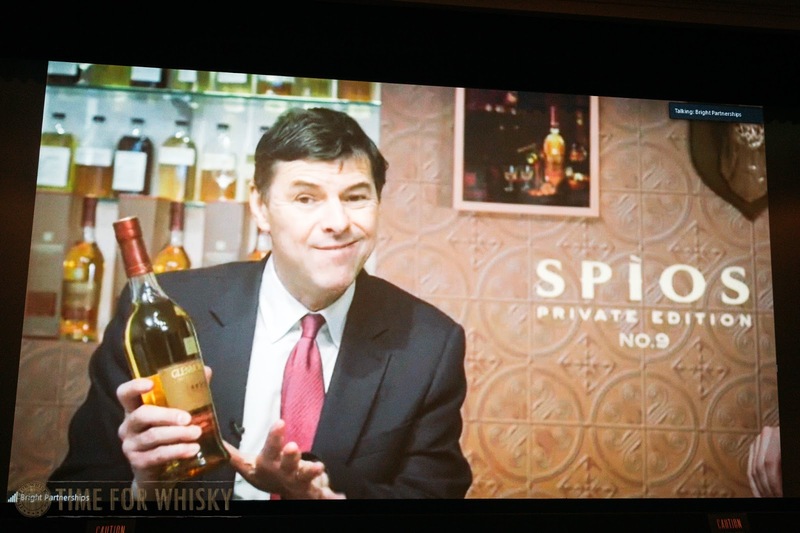 Whilst none of us had tried the latter, the name ("Spicy" in gaelic) gave us some clues as to what to expect. After Dr Bill leading us through the Original (describing it as the whisky he "interferes with the least"), and Brendan taking us through the Nectar D'Or, it was time to learn about Spios. 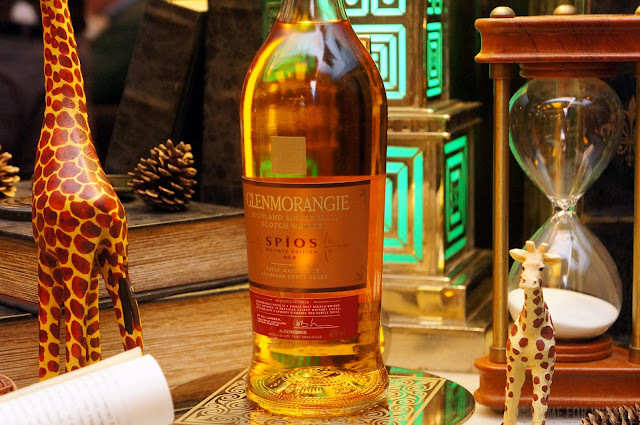 Bill took us back to the 1990s, when he first learned about Rye whisky (then significantly less popular and attainable than it is now) from the legendary whisky writer Michael Jackson. 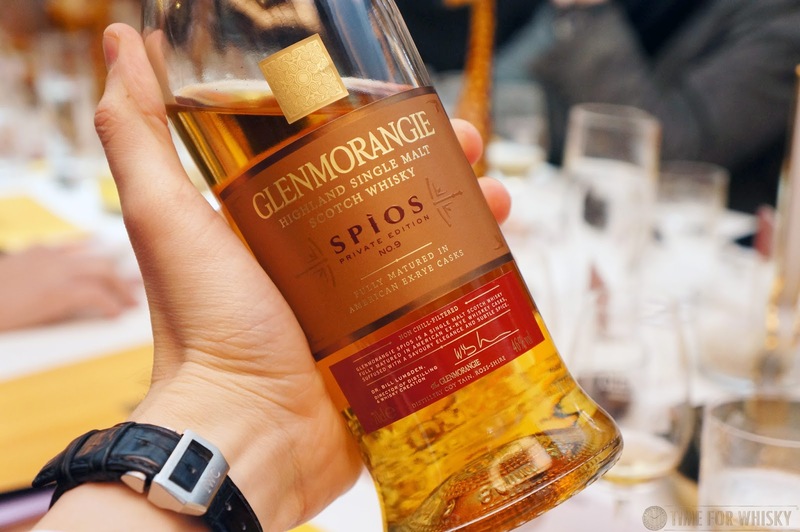 After visiting North American distilleries and trying their ryes, he loved the spicy notes that the extra rye in the mashbill imparted, and years later, sought to procure some ex-rye casks. He was successful, and 10 years ago (which should give us an idea as to the age of this NAS release) laid down some casks that had previously held 95% rye, with Glenmorangie single malt spirit. 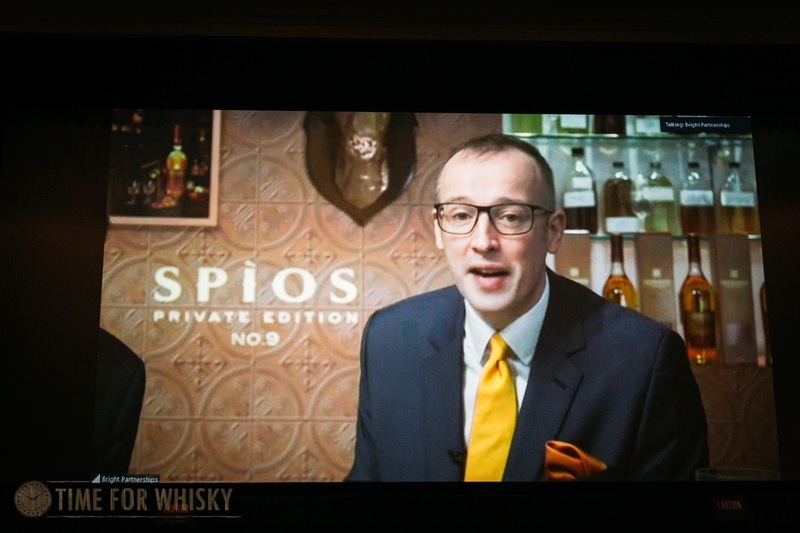 That's right - no finishing here, just a full 10 (ish) years in ex-rye! 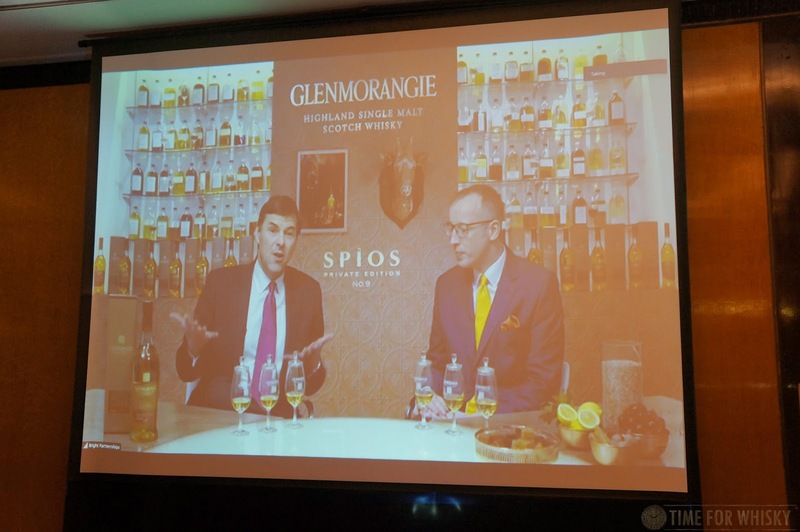 (Whilst Bill nor Brendan would be drawn on which distillery the casks came from, subsequent discussion online suggests it could only have been MGP of Indiana). Colour: Straw with a slight pinkish-gold hue. Nose: There's no doubt it's a Glenmorangie - there's some honey, and some underlying floral hints, but take away all the sweet vanulla you get on the nose of the Original, and replace it with spice! Also grass, mint, toffee, cherry, and after some time, caramel chews. 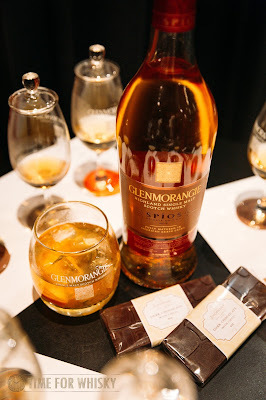 Palate: Gentle cinnamon / clove spice - it's there and it's dominant, but its not overpowering, and it's working nicely with the toffee and some sweeter ginger notes that start to come through. There's even a tiny hint of black pepper. Finish: Long, with lingering earthy sweet smoke and more of that toffee. Rating (on my very non-scientific scale): 92/100. Very good, and fun and fascinating to compare side by side with the Original. "Same same, but very different" sums it up best - it's definitely an ex-American Oak Glenmo, but with plenty of unique characteristics not found on the Original. Delicious. After the Spios, Bill and Brendan took questions from each city (that's me spying on the good people of the Sydney whisky scene, below), and whilst Bill wasn't giving anything away about future Private Editions, he did confirm that "anything you can think of, I probably am trying it" and the 10th Private Edition will be "extremely innovative". 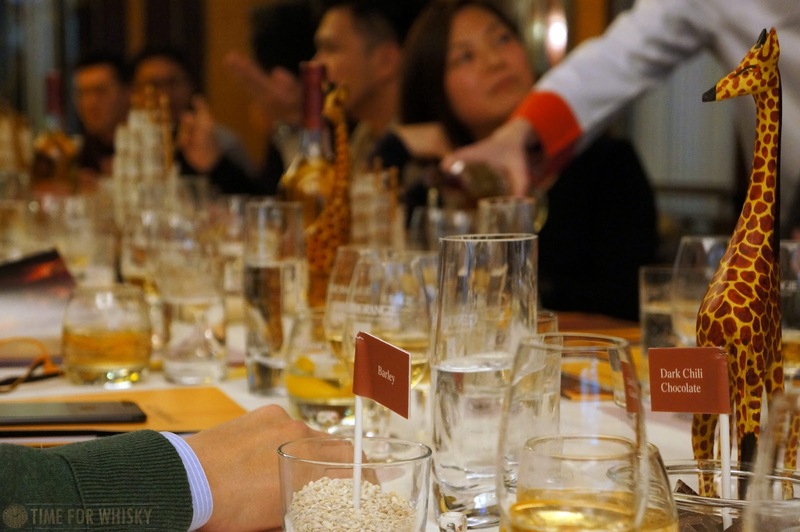 Thanks to Moët Hennessy in both Sydney and Hong Kong for the dual-invitation to this innovative and enjoyable event!